STOP THE KILLING - The first week of Neesan in Iraq brings more death for Assyrians in Baghdad and Basra. The senseless killing and intimidation of Christians continues while western governments continue to ignore their cry for help. 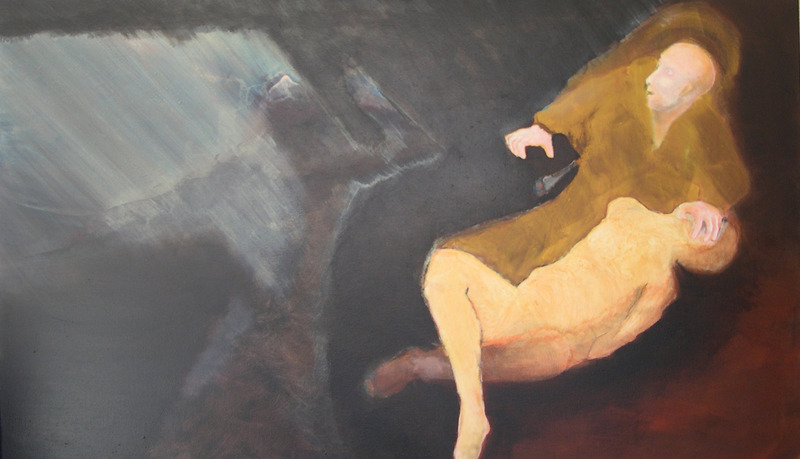 Painting titled "Stop the Killing" by Brian Morrison. ADM Rep: "Nineveh Plain favorable for a Christian Province"
What is Happening Between Chaldeans and Assyrians? Iraq is a country of Muslim majority, but is also a land of ancient Christianity, reached by the word of God already in 54 A.D. when Saint Thomas, during his journey towards the Far East, preached it in the area still called by then Mesopotamia. Wars and persecutions have dramatically contributed to reduce the number of the Christians of Iraq to not more than 600 thousand. Christians of Iraq are few and divided. 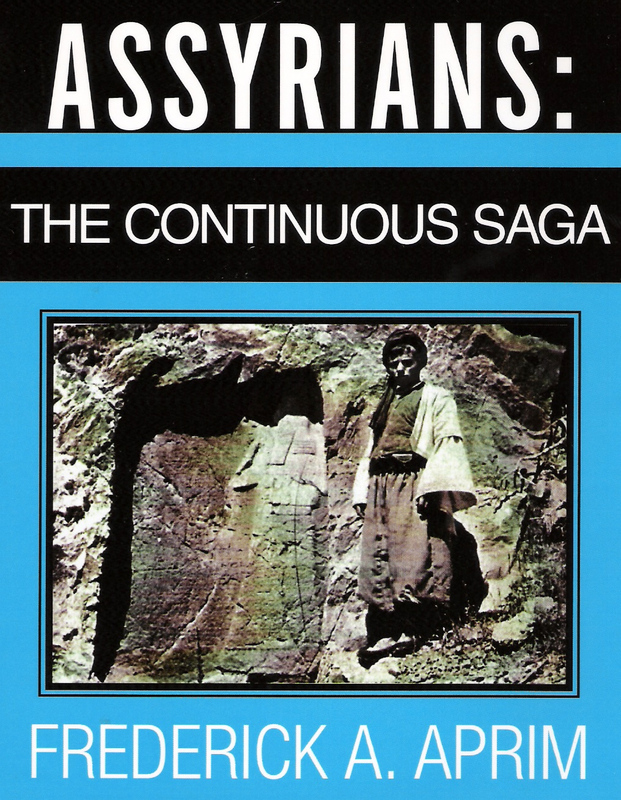 Not considering the confessions of Anglo-Saxon derivation, (protestants, evangelists, adventists) they mostly belong to the Assyrian Church of the East, to the Syriac one, to the Armenian one and, above all, nearly the 70 %, to the Chaldean Catholic Church. In the post-Saddam Iraq, where the anxiety for freedom has been realized in the birth of a myriad of political parties (it is said that there are already 85 of them) also the Christians are looking for their own political visibility. They are, at the moment, represented, in the Iraqi Governing Council, the provisional Iraqi government willed and installed by the USA administration the last July, by Yonadam Kanna, head of the Assyrian Democratic Movement, but his appointment soon created irritation, especially among the members of the Chaldean Church who, strong of their representing the majority, ask for their own representation in the governmental structure. We talked about this subject with Monsignor Jacques Isaac, General Secretary of the synod of the Chaldean bishops and Chancellor of the Papal University of Baghdad. This distinct political representation has been officially asked for by 19 bishops out of 20 during the August 2003 synod held in Baghdad to name a new patriarch, when, with reference to it, they issued an official document inspired by Monsignor Sarhad Jammo, bishop of the San Diego Diocese, California. Assyrians, few in Iraq and many in the diaspora, have a deep-rooted habit to political confrontation; Chaldeans, many in Iraq and lesser abroad, only now, after the fall of the regime and the passing of the previous patriarch, are free to express their own claims on the political scene. These contrasts will surely give life to what promises to be a hard and interesting debate, from which is, however, kept out the Iraqi institution where Christians work together: the Babel College, the Papal University affiliated to the Urbaniana University of Rome that enrolls Chaldeans, Assyrian, Syriac and Armenian students. Babel College is directed by Monsignor Jacques Isaac who forbade the distribution of leaflets and handbills concerning political issues. He is a well-educated man and, apart from his own political positions; he doesn’t want politics to spoil the atmosphere of collaboration and friendship between the students belonging to different churches that have always been a peculiarity of the college. “There were two students, a Chaldean and an Assyrian, who were giving out leaflets on the political issue. I called them and told them they were free to do so outside the college walls, but not inside. Our duty is to convey the values of Christianity but also to offer to our students, most of them secular, the proper cultural means to face the future of the country. Culture must be kept apart from politics, at least for the time being, and we must give to the young people the chance to build up, by studying, a personal opinion. The dialogue can help the country on the path of peace, the dialogue among the different Christian confessions and with the Muslims: talking to each other is necessary to understand each other. The Pontifical Babel College of Baghdad, which enrolls students belonging to different Christian confessions, is, in this sense, a unique institution. For the 2002-2003 academic year the students, boys but also girls, were 280, and most of them are secular. The courses for the last 7 years included different subjects such as philosophy, theology, Syriac, Arabic and English. They were interrupted on 17 March, but the same day Saddam’s statue fell in Firdos Square, the event that has marked the fall of the regime, a first working meeting of the board of directors of the college was held. During the war, the missile positions Iraqi army had dug along the external walls made the college a target. The damages were huge. The Centre of the Sacred Art, the computer room, many external fixtures and the air conditioning system were all destroyed, but the will to start again was great, and the repair works began as soon as possible following a priority criterion that could favour the resumption of the studies. Fixtures, conditioning plant and new sanitary fittings had the precedence, but works proceeded also to recover the Centre of the Sacred Art, the computer room that today can host 13 students, and to organize and enlarge the library so as to pass from 12 to 90 seats, and to collect all the books, including those that had been assigned to it due to hereditary bequest, including that of the former Patriarch Mar Bedaweed I. The St. Ephrem Hall, the 750 seats conference hall, the building of which started some years ago, will have, on the contrary, to wait. Due to the fact that the relationship between this higher institution of Christian studies and the Muslim world is marked by collaboration and not fighting, it’s clear to see how since October 2003 the courses have resumed, the number of Muslim teachers who teach philosophy, has gone up from 5 to 7, and that there have already been contacts between the Babel College and the faculty of Islamic Studies in Baghdad. The latter requested from the Babel college a teacher to explain to Muslim students the history of Christianity. represents a hope and a wish for a country that has to face ethnic and religious divisions. magazines: Naĝm al Mashrik (Star of the East) and Beit Nahrein (Mesopotamia), he is a a volcano of ideas and initiatives. Besides being a faculty of theology and philosophy, the Babel College houses the Catechetical Christian Institute where, in a three-year course, catechists are trained. The college is situated in an area of the city, difficult to be reached by the students, and therefore it has been decided to temporarily move the courses to the Church of Mar Elyia and to create, in the next year, another branch in Mosul, to spare the students living in the north of the country the twice weekly trip to Baghdad. Under Monsignor Isaac’s guidance many plans and ideas will be realized in order to give, within the confines of the College, now free from missiles, to all the Christians and the Muslims a chance to learn and live together peacefully. (ZNDA: Baghdad) Mr. Karim Elia Abouna, an Assyrian originally from Alqosh, was murdered in the Assyrian quarters of Dora, Baghdad on 23 March. An armed group of men entered his shop, shot him five times with light guns. He was killed immediately. (ZNDA: Basra) The gang belonging to the Shi’ai leader Mugtada al-Sadr attacked a group of Engineering College students at Basra University this week. The students were enjoying a picnic outing in one of Basra's public parks when a gang attacked and began beating them with batons and sticks. The attackers were protesting - "in the name of Islam" - the the female students' not wearing the Islamic hijab (veil) and that the students were listening to music. One Christian student, Zahra Ashor, was killed and fifteen others students were badly injured. The gang stole the students’ belongings, including telephones, jewelry, and destroyed the tape recorder they were using to listen to music tapes. Amsterdam - The Turkish government is planning to sell 101 hectares of land in the Assyrian village of Bote, located in south-east Turkey. The land was confiscated in 2000, when more than 50 historical houses in Bote were destroyed, without permission from the Assyrians, and the Church of St. Mary converted into a mosque. The Assyrians have not been compensated for their houses and land and no explanation has been given by the Turkish government for the illegal confiscation of their properties. The Church of St. Mary still remains a mosque. "Turkey is trying to use some Assyrian organizations to show the EU that they respect the human rights of Christians," says Attiya Gamri, an Assyrian from Turkey and a member of the Dutch Parliament, "but to-date they have not respected the rights of the Asyrians (also known as Chaldeans and Syriacs)." Ms. Gamri cites the case of the Assyrian New Year celebration in Midyat, Turkey. The Turkish government did not accept the title "Assyrian New Year" and forcefully changed it to "Christian Spring Day." "We do not accept this," states Ms. Gamri, "Turkey should recognize the Assyrian New Year and we hope the Assyrians in Turkey will not accept this." "Turkey thinks that we do not understand what assimilation of etnicitiy is," says Ozcan Kaldoyo, An Assyrian community leader in Stockholm, "they think that we will accept this, so that they can use this to show the EU that Christians in Turkey are respected." Mr. Kaldoyo and Ms. Gamri are spearheading the effort in Europe to stop Turkey from selling the illegally confiscated Assyrian lands in Bote. (ZNDA: Baghdad) In an interview with the al-Hayat Newspaper, Mr. Ishaq Ishaq, head of the Public Relations at the Assyrian Democratic Movement commented that on 21 March that the Nineveh Plain region possesses all the favorable and necessary conditions for the establishment of a Christian governorate (province) under a Christian administration. The region includes more than 300 towns and villages with a majority Christian population. Mr. Ishaq believes that the villages of the Nineveh Plain possess the necessary agricultural, industrial, and tourist components for a favorable and sustaining governorate. Mr. Ishaq also stated that the region’s geography is in close proximity to the unique historic linguistic and religious attributes of its Christian population. He pointed to the desire of the people for such Christian administrative unit within the Iraqi federal system in accordance to Iraq's TAL (Transitional Administrative Law). The request is similar to those demanded by the Shi'aa in the south and Kurds in the north. He pointed to the aspiration of these people to obtain a governorate in Iraq in order to assert and confirm their administrative, political, and economical rights that are bound to a centralized Iraqi state. Mr. Ishaq explained that this could be achieved through a Governorate Council that organizes the administration of these villages, its monetary wealth and institutions taking into consideration the region's traditions and the residents’ desire for freedom to practice their religion and to teach Syriac language. For the second year running, Christians in Iraq will celebrate Easter under curfew. "Services for Holy Week and Easter will be in the mornings only because of the curfew," a lay Catholic in Baghdad told the Fides news agency. "This means we cannot hold the Easter Vigil Mass at night and Easter will be very quiet," the source said. "Many families are too afraid to go to church. For us the situation is calm; there is tension among Muslim groups but it does not affect Christians. However violence affects everyone and is the cause of fear." The source added: "In northern Iraq it was a tradition for Catholics to take part in Holy Week services at the various ancient Chaldean and Syrian monasteries. But today most people are too afraid to go anywhere, or let their children go to church." In his Easter message, Chaldean Archbishop Paulos Faraj Rahho of Mosul encourages Iraqis to draw from the turmoil around them the real meaning of the Resurrection. "Assassinations, terrorism and fear must not have the last word in Iraq," the 62-year-old prelate writes. "Just as Christ overcame the tomb and death, what must triumph at the end is Life and Love." (ZNDA: Sydney) Shadow Minister for Western Sydney, John Ryan, on 23 March 2005 called for recognition and adequate representation for Christian Assyrian’s in Iraq. Mr Ryan represents many Assyrian’s in Sydney’s west and in a speech to the New South Wales State Parliament on 22 March was compelled to raise their concerns about irregularities at the recent Iraqi Election. The Hon. John Francis RYAN, member of the Legislative Council in the Australian Parliament. Mr Ryan said that there were several incidents, especially in Northern Iraqi, which may have restricted local Assyrian’s from voting and therefore their representation on the new Government. On the 30 January, Election Day, voting boxes and supplies were not delivered to predominately Assyrian regions in northern Iraq. Election Officials also insisted that Muslims from surrounding areas should staff ballot booths in Assyrian areas. Expatriate Assyrian’s also found it difficult to vote. Mr Ryan said that these irregularities potentially cost Assyrian’s 10 seats on the new Iraqi Government. 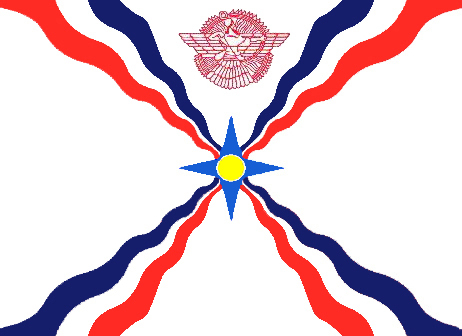 Assyrian’s believe there are entitled to about 27 seats, which is proportional to their population in and out of Iraq. “Christian Assyrians in Australian are particularly worried that the minority Assyrian Christian community in Iraq may not be able to enjoy human rights such as the right to freedom of worship and freedom from discrimination. “Their anxiety is reasonably based because there have been many calls from the Shi'ite majority in Iraq for an Iranian-style Islamic state to be enshrined in the new Iraqi constitution,” Mr Ryan said. Mr Ryan continued by saying that it was crucial Assyrian interests were represented in the new the new Iraqi constitution in order for them to feel safe and secure. “I support the petition from the Australian Chapter of the Assyrian Universal Alliance who have called on the Federal Government to urge the new Iraqi Government to designate a geographic protected administrative area in Iraq for Christian Assyrian’s. “I have written to the Prime Minister the Honourable John Howard to support the petition from the Assyrian Alliance and to express my concerns about the election. I eagerly await his reply,” Mr Ryan said in conclusion. On 30 January this year historic elections took place in the troubled country of Iraq. While we all welcome the introduction of democracy in Iraq, I believe that it is also important to highlight some concerns expressed by the Assyrian community in Australia about irregularities that may have adversely influenced the election outcome for the Christian minority living in that country. These concerns do not invalidate the great significance of the steps taken in Iraq towards democracy, but they must be addressed if all Iraqis are to enjoy the full benefits of democracy. Before I speak further about this matter, I extend my warmest wishes to His Grace Bishop Mar Meelis Zaia, the Diocesan Bishop of the Holy Apostolic Catholic Assyrian Church of the East Diocese of Australia and New Zealand. I wish him and his congregation a happy and prosperous Assyrian new year. I also look forward to working more closely with him and members of his church, many of whom I have met and who live in the Fairfield area, where his church was first established in the mid 1960s. I also extend my congratulations to Bishop Mar and his congregation on the introduction of an English liturgy to their services, which has been translated with great effort and faithfulness from the Aramaic liturgy. As I mentioned previously, the recent Iraqi elections appear to have been conducted in a way that has disadvantaged Assyrians and has limited their representation within the interim Iraqi Government. This may have serious and profound implications for the safety of the Assyrians and their representation in that country. Australian Assyrian Christians are particularly worried that the minority Assyrian Christian community in Iraq may not be able to enjoy human rights such as the right to freedom of worship and freedom from discrimination. Their anxiety is reasonably based because there have been many calls from the Shi'ite majority in Iraq for an Iranian-style Islamic state to be enshrined in the new Iraqi constitution. The 30 January elections in Iraq were an historic breakthrough in the development of Iraq as a free and democratic society and were widely supported by Assyrians in Iraq and around the world. Never before has Iraq had free, fair and transparent elections, with thousands of candidates and hundreds of political parties. Never before had the Christian Assyrians, who are a unique and indigenous people in Iraq, been allowed to participate in elections with their own independent parties. But on election day several irregularities took place, affecting at least 300,000 Assyrians, Yezidis and Turkmen in northern Iraq, and a significant number of the 500,000 Assyrians in the worldwide Diaspora. For example, on polling day voting boxes and supplies were not delivered to some northern districts in Iraq. These districts have a population of 300,000 and Assyrian Christians make up a high component of that population. Despite assurances from the head of the Iraqi Electoral Commission the official voting boxes did not arrive from Kurdish-controlled Arbil. This effectively limited the ability of people, Assyrians included, to exercise their democratic right to vote. The Al-Rafidayn Democratic Coalition, the main party representing the Christian Chaldo Assyrians, has rejected the Iraqi Independent Electoral High Commission's report on voting irregularities in northern Iraq and has strongly criticised the opening of only 93 of the 330 voting centres in the Nineveh governorate on election day. Expatriate Assyrians also found it difficult to vote in some countries. Depriving 300,000 eligible Assyrians of their right to vote may have cost that community up to 10 seats in the 275-seat Iraqi National Assembly. This was not an auspicious beginning to Iraqi democracy for the Assyrian community, who view these events as a possible continuation of the 1,400 years of discrimination and marginalisation that many have endured in Iraq to date because of their minority status in a predominately Muslim country. Assyrians in Iraq are calling for a minimum number of seats in the new Iraqi Government and have requested that this should be between 22 and 27 seats. This is proportional to the Assyrian population in and out of Iraq, estimated to be between 8 per cent and 10 per cent of Iraq's population. Australian Assyrians supported this claim by demonstrating recently outside the American Consulate in Sydney and outside the New South Wales Parliament. I support the petition from the Australian Chapter of the Assyrian Universal Alliance, which has called on the Federal Government to urge the new Iraqi Government to designate a geographically protected administrative area in Iraq for Christian Assyrians and for other similar minority groups who are currently underrepresented. I have also written to the Prime Minister, the Hon. John Howard, in this regard to express my concerns and I eagerly await his reply. (ZNDA: Jonkping) In appreciation for his 25 years of service to Hujada (Khuyada or ‘Unity’) Magazine and the Assyrian community in Jönköping, Sweden, Mr. Mikhael Marogil Mammo was honored by the Central Committee of the Assyrian Federation in Sweden at a party to organized at the Mesopotamia Club in Linkoping on March 19. The celebration was attended by the staff of Hujada Magazine, representatives of the Assyrian Federation and about 70 friends and admirers of Mr. Mammo. Gifts were presented to Mr. Mammo by the president of the Assyrian Federation, speeches were made acknowledging the cultural contributions of Mikhael and for his promotion of the Assyrian language. Mikhael Marogil Mammo was born in Habbaniya in 1948. He attended primary, intermediate and secondary schools in Ramadi, Iraq where his interest and career in journalism started. He edited and wrote for the school paper. When he was 16 years old he wrote a short story, an interview with a soccer player and an article which were all published. After graduating from high school he attended the Teachers Training Institute in Ramadi and later went to Basra where he enrolled in the Basra Law College. He supervised the publication of a single page of news and articles for the Law College which was published in the local newspapers. In Baghdad he was active in the Assyrian Cultural Club, the Assyrian Community Club in Dora (Baghdad), the Union of Syriac Writers, Tammuz Athletic Club, and prepared interviews with prominent Assyrians and foreigners in the Assyrian language which were aired on Baghdad radio and TV. From 1973 to 1977 he worked for the Assyrian Cultural Club's magazine and was its editorial secretary until he left for Sweden when he was warned that he may be arrested for interrogation by the dreaded Security. On arrival in Jönköping, Sweden, with the help of some Assyrians, he attended the Swedish language courses until 1979 and in 1980 he enrolled at the Swedish Higher Institute of Teachers, and at the same time took correspondence courses in Arabic language and literature organized by the Stockholm University. In Jönköping he also took courses on the literature for children and the youth. From all his studies in Jönköping and the Stochholm University he earned 210 points equavalent to a Masters Degree. In Jönköping Mr. Mammo has been very active since 1979, teaching Assyrian and Arabic languages, organizing Assyrian language courses at the Babel Assyrian Club, preparing textbooks in the Assyrian language and teaching Arabic to Swedes at the Swedish Foreign Languages Institute. Mr. Mammo is the representative of foreign languages teachers at the Jönköping branch of the Swedish Federation of Teachers. Mr. Mammo was chairman of the Babel Assyrian Club from 1979 to 2003 and is an honorary member, a title awarded to him by the Club. He writes in Hujada Magazine’s Arabic and Assyrian sections. He bought the first Assyrian typewriter from the late Father Francis Alesharan which he uses to write for the magazine. He has participated in several Assyrian conferences in Germany, Holland, Russia and America. Mr. Mammo is fluent in Syryoyo (Western Syriac) which he learned in Jönköping. His biography details a long active life in journalism and cultural activities, writing, studying, publishing and editing. According to the president of the Assyrian Federation in Sweden Hujada magazine has a circulation of 2000 copies and subscribers from 35 countries. The magazine is published in Swedish, Syriac, Assyrian, Arabic and Turkish. (ZNDA: Toronto) Diamanda Galas growls, hisses, groans and shrieks while clawing at the piano like Chopin possessed, creating a soundscape that's terrifying and beautiful. To have any performer deal articulately with topical monstrosities is rare; to have such a badass musician saying it is a gift from God. We know Galas reigns as the queen of extended vocal technique, a voice that has only gained in power and versatility over the years (she trains constantly, like a boxer); she has also, in recent years, become one of the greatest, most original piano players on Earth, with a strong lower-two-octave/highest-octave attack that perfectly stabs the drama of her lyrical concerns. Diamanda Galas will perform her critically acclaimed current work, Defixiones: Orders From The Dead as part of the Open Ears Festival of Music and Sound on Saturday, 30 April 30, 2005 at the Zion Church Sanctuary. This unique venue is located at 32 Weber Street in Kitchener, Ontario - approximately 75 minutes from Toronto. Defixiones: Orders From The Dead is a sacred mass dedicated "to the forgotten and erased memory of the Armenian, Assyrian, and Pontic Greek genocides that occurred in Asia Minor, Pontos, and Thrace between 1914 and 1923," genocides that the American and Turkish governments refuse to recognize to this day. Like the Eumenides - the mythological creatures charged with administering justice - Galas seeks to pursue the criminal with the memory of his crimes. Note her new inclusion of the Turkish poem "Hatred," published by Hurriyet Newspaper on the eve of the 1974 invasion of Cyprus, which advocates the large-scale decapitation of the Greek "giavouri" (infidels). Defixiones draws its title from the "curse tablets," the small lead charms engraved with curses that were laid on graves throughout the eastern Mediterranean to discourage desecration. With this, then, her fifteenth concert creation, Galas directly engages the Greek heritage that has always - occasionally directly, more often obliquely - informed her work. Defixiones: Orders From The Dead includes new compositions based upon the texts of Yiorgos Seferis, Yannis Ritsos, Nikos Kazantzakis, and Jose Maria-Cuellar. The new work has recently been performed at the Vancouver New Music Festival, the Portland New Music Festival, and Il Teatro Communale in Ferrara as part of a festival focusing upon the Armenian music and culture. Songs of Exile from Defixiones: Will and Testament (Mute Records) has been recently performed in January 2005 at the Academia Santa Cecilia di Roma to rave reviews. The music of Diamanda Galas is currently featured in two new movies. In the Fall, Galas recorded new vocal improvizations for director Hideo Nakata (director of the Japanese hit film Ringu) for the upcoming motion picture “Ring Two” which was released by DreamWorks on March 18, 2005. Spanish/Nicaraguan filmmaker Mercedes Moncada Rodriguez has used Diamanda's music as the primary soundtrack for her film "The Immortal", produced in Mexico, Nicaragua, Spain, New York, and the Sundance Institute. The film is centered on a group of brothers and sisters whose lives are forever changed when they are caught in the crossfire between the Contras and the Sandinistas in war- torn Nicaragua. El Inmortal [has] the aural atmosphere of a horror movie: Jungle screech becomes scream; scenes changes are punctuated by thunderous clangor, and a tremulous, rattling bass seems to underscore each chapter in the Rivera saga. As a result, an unearthly tension emanates from EL Inmortal as the emotional mechanisms and contentious spirits of the Riveras' village contend for dominance. Christmas and Easter of Peace. At the end of last year some primary school students in Turin and its province (ages 6 thru 13) decided to send their drawings of Christmas and Peace to the children from the same age group within three parishes in Baghdad. The drawings, showing the peaceful and friendly feelings of the children toward their new Iraqi friends were given to the Iraqi children on Christmas days as a small present by their three parish priests. After Christmas, the Iraqi children showed that notwithstanding the difficult situation they are unfortunately experiencing, the desire for peace, normality and friendship always wins. They drew for their Italian friends drawings about Easter and peace. The Italian children were very happy and excited when they discovered that the drawings from Iraq had reached Turin via Jordan, and so were their teachers who admitted the values of the plan. From an educational point of view it permitted the students to look deeper into the knowledge of the historical and geographical reality of Iraq according to the classes they attended and their age group. From the humanitarian point of view it permitted the Italian children to think of the Iraqi children no longer as television figures but as real new friends, with names, faces, dreams and hopes like every other child in the world. Finally, the plan permitted to Italian children to “live” Iraq and its situation not more only as passive TV consumers but as active actors of a little piece of that reality, and this stimulated discussions and debates about what’s going on in that country in the classes but also in the families of the children. The drawings sent to and received from Baghdad demonstrate the peace flag, the Iraqi and Italian flags together, and the words Peace, Pace, Salam and Shlama. They leave no doubts about the thoughts of the children of both nations, that they like every other child in the world want and deserve peace and all the world should take care of this request. The drawings will be shown for the first time on Saturday 2, and Sunday 3, April in Turin in San Giulio d’Orta Church, Corso Cadore. The Italian drawings will be shown by computer as the original copies are in Baghdad, while the Iraqi drawings will be in the original form. The exhibition will see also two particular moments: on Saturday and Sunday afternoon some Iraqi tales will be read to all children attending the exhibition to let them know another little piece of the great Iraqi culture and history. The participants to the plan “Christmas and Easter of Peace” in Italy were schools and associations in Torino and its province and in Palermo and its province. In Turin they were coordinated by the Pastoral Migrants Office lead by Don Fredo Olivero, in charge also of the plan “I have a new friend: an Iraqi Chaldean Priest” and in Palermo they were coordinated by the local secretary of the MIR. First, I'd like to express my appreciation of the great work you are doing in editing and producing Zinda on a regular basis for the past ten years or so. The e-magazine is keeping a good section of our people informed about all that is of interest concerning our people whether in our homeland or elsewhere as well as about important world issues in general, at the same time giving its readers full rein in expressing their sentiments and views on what they read or think. And all of this free of charge! It is also bringing some of our national issues to the attention of non-Assyrian persons of political influence who are likely to be concerned for our people’s welfare. My hope is that you will be able to consistently keep the TRUTH as the pinnacle of your work. It is no mean task to compile and put together regularly twice a week such an amount of dated journalistic labor and have the latest news and analyses available usually within a few days--and sometimes even within a few hours--of their happening. I congratulate you and your colleagues as well as the various contributors who are your support line. As a token of my appreciation of your devoted work, I mailed you yesterday a $50 donation to Zinda, along with a complimentary copy of our last issue of HUSCA Magazine that was distributed just before last Christmas. For twelve years since 1989, all my reports on the Reunion and features on Habbaniya in general were published in Nineveh Magazine regularly during the late Julius Shabbas' Editorship. But to continue to keep members abreast of the local history of the era (1936-1955) as well as to keep them connected with each other in an effort to preserve old ties and memories of Habbaniya, since 2002 our Association began to publish and distribute a special magazine for Habbaniya called HUSCA. To date we have put out six issues and the seventh is in the process of compilation. The magazine is basically about our former school as well as about the local people of Habbaniya in general. It contains at least 32 pages and is published twice a year (in June and in December). It consists of articles and pictures of a vintage nature as well as of contemporary events and persons of achievement of Habbaniya origin. The magazine, which is put together well both in design and visual appeal as well as in literary form, is wholly in English. The membership fee, including the magazine subscription, is $10 a year to US residents and $12 to residents of other countries. We have currently some 300 members, but to keep afloat we need the support of additional members. 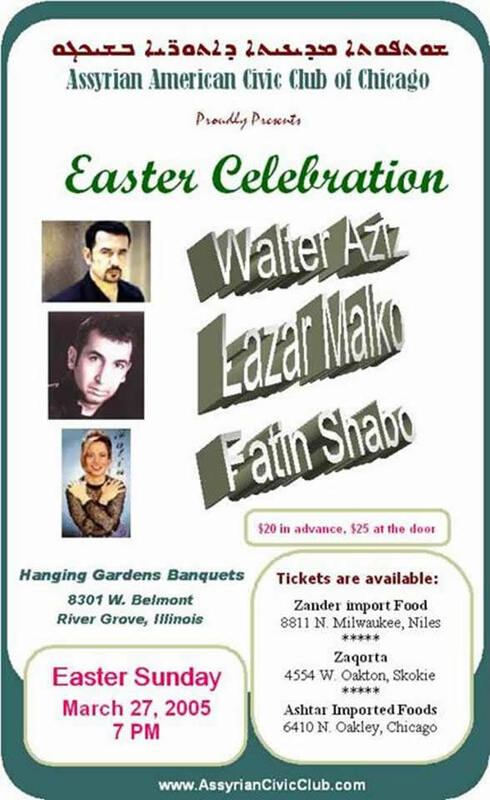 Mr. Benyamin Yalda, 9350 N. Parkside Drive, Des Plaines, IL.60016; Tel.847-296-7587; E-mail here. 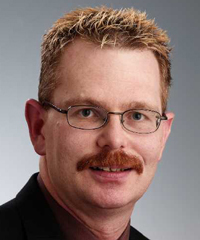 Mr. Mikhael K. Pius, 3504 Setrok Drive, Modesto, CA 95356; Tel.209-545-4120; E-mail here. The upcoming issue of HUSCA is expected to be a bumper issue of 40 pages! It will contain, among other features, a two-page report from and about today’s Mar Gewargis Church and other churches of Habbaniya and about our people living in and around Habbaniya in general, along with two dozen recent pictures of the Habbaniya locale and dozens of letters from readers. The text and pictures on Habbaniya were contributed by Dr. Sami Sharlman, a college teacher in Ramadi and the son of Mar Gewargis Church pastor, Rev. Shummon Shmouel. People who remember Habbaniya in its hay days will just stare agape at some of today’s scenes and the changes that have taken place! Another thing: In 2002 I also self-published my second small book titled AN ASSYRIAN’S YOUTH JOURNAL, of which I believe I mailed you a complimentary copy at the time. The profit from the book plus donations received totaling $1,660 were sent through the Assyrian Foundation of America, to the needy Assyrians in Amman, Jordan, about a year ago. Of the 800-copy print run, I had some remainder copies. I gave away small quantities to a few of our churches in the Turlock and Modesto area last year. I still have some copies left. The retail price is $7.00, but I’d be glad to mail a free copy to anyone who sends me his/her name and address, along with the cost of postage (just $1.50 for U.S. residents and $5.00 for overseas addresses). The 125-page book is a 13-year diary I kept during 1940-53, in Habbaniya and in Baghdad. It was heartwarming to read that "Assyrians for Education" had donated the substantial sum of $100 Thousand Dollars to the AAS of America. It must always be maintened that education is in fact the door to the future. Without an education we as a society are not able to function properly. It is wonderful to see that a group is taking action and assisting with this quest. Assyrian schools in Iraq are needed and Assyrians for Education have done a rather noble job in the donation of this substantial sum of money. Good luck to the AAS in the task of constructing appropriate educational facilities in Iraq with this money. Without a doubt every dollar is needed. I hope it is spent well. 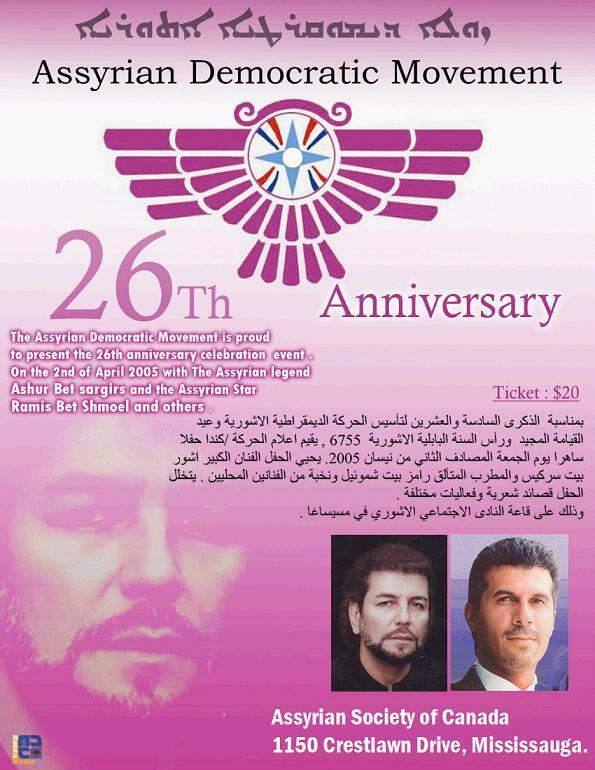 The Assyrian Australian National Federation (AANF) is proud to present the 6755th Assyrian New Year Festival. The Festival is to be held at the Fairfield City Showground on Sunday, 3 April 2005 from 10:00am to 10:00pm. 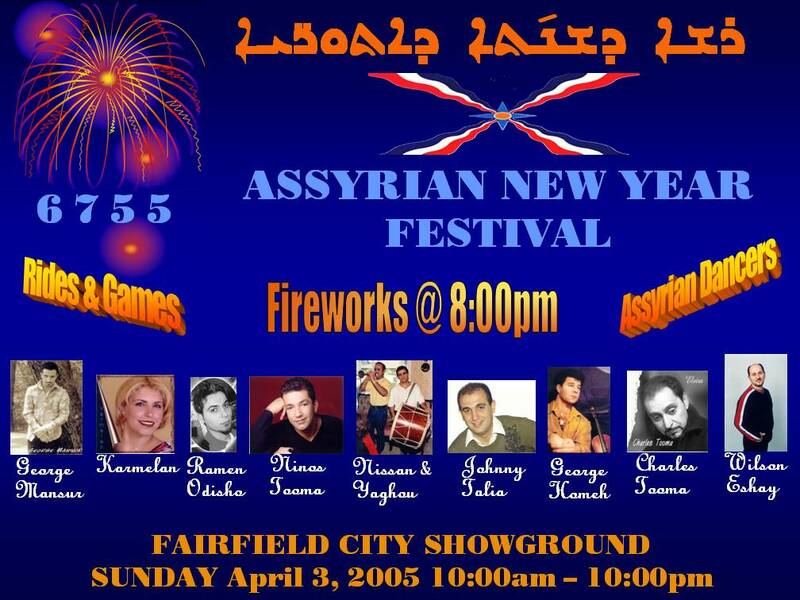 There will be various Assyrian singers, dancers, choir group, musicians, games, rides, raffle and fireworks at 8:00pm. Various government officials and dignitaries will be attending the official opening ceremony at 12:00pm. 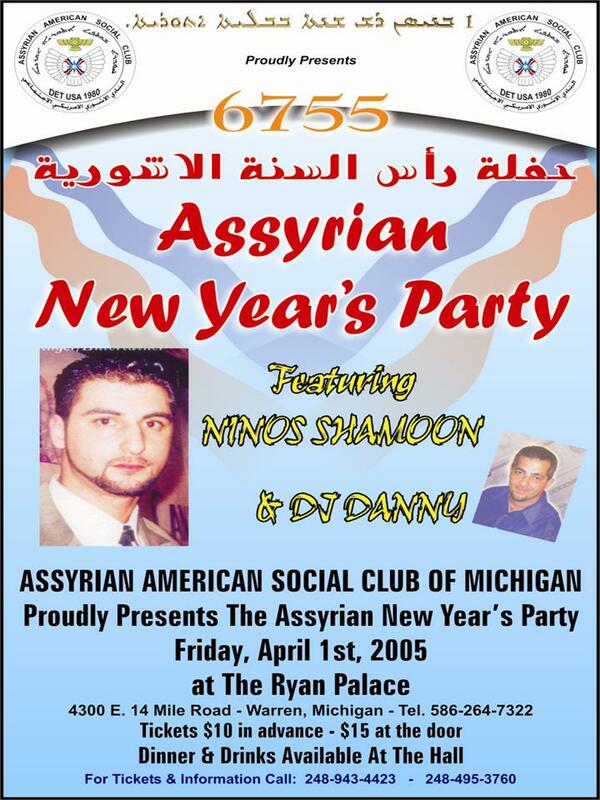 AANF invites all Assyrians to attend this momentous event to celebrate the transition to 6755. 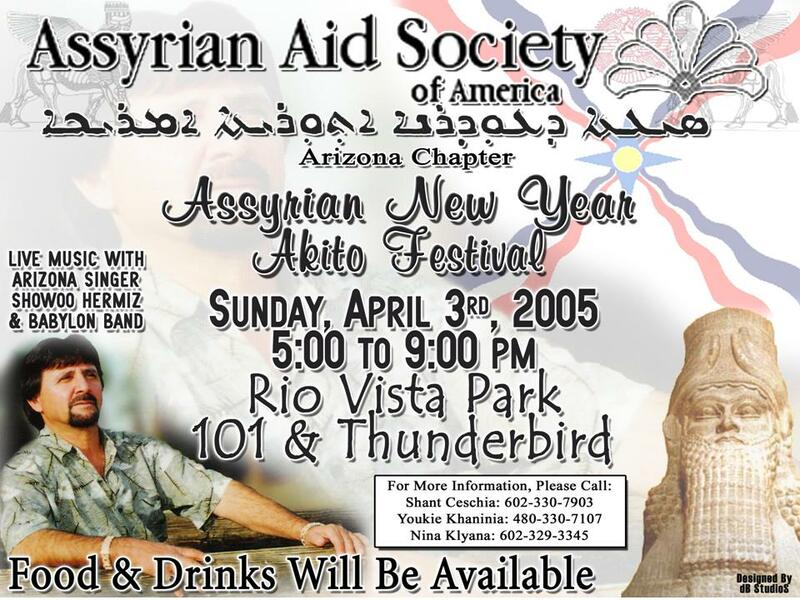 At this time every year, Kha B’Neesan (1st of April) the Assyrian-Chaldean community world-wide celebrate the Akitu Festival and welcome in the Assyrian-Chaldean New Year, the celebration of revival and the renewal of life all over. The story of the Akitu festivities is the love story of the (god) Tammuz and (goddess) Ishtar. At their first encounter, Ishtar is said to have fallen in love with the shepherd Tammuz, who in turn asks for her hand in marriage. Hence, Ishtar, marries the shepherd Tammuz and as a result, their marriage endows the earth with fertility, and the cyclical renewal of life is ensured. The myth tells how in the burning days of late summer the people came to the fields, where Tammuz stood, and cruelly murdered him with sickles scattering his flesh over the land. When Ishtar learned of the death of her beloved, she was distraught with grief. Weary and worn from weeping she knew that she must find the spirit of Tammuz and bring him back to life, whatever perils faced her. Ishtar descends to the Netherworld to rescue Tammuz from “land of no return”. During these events in the Netherworld, everything on earth is withering away. Trees and plants wither and die and animals and humans alike are sterile. When Ishtar pleads for the restoration of Tammuz to life, the underworld agrees, but to a partial reprieve only; whereby Tammuz spends six months in the world of the living and the following months in the Netherworld. Hence Tammuz is restored to life on Kha B’Neesan (the 1st of April) the first day of spring. To our ancestors, the Kha B’Neesan celebrations established harmony with nature and reaffirmed the bond between the community and the earth; the community being represented by the king in the temple ritual. For the king was the one responsible for the continual tending of earthly harmony. Thus the Akitu Festival paid homage to the king and a prosperous New Year was therefore assured. In light of the current world turmoil and the liberation of Iraq our ancestral homeland, this year’s celebrations will be especially poignant as is Iraq brought out of the age of darkness to an ever hopeful and brighter future. 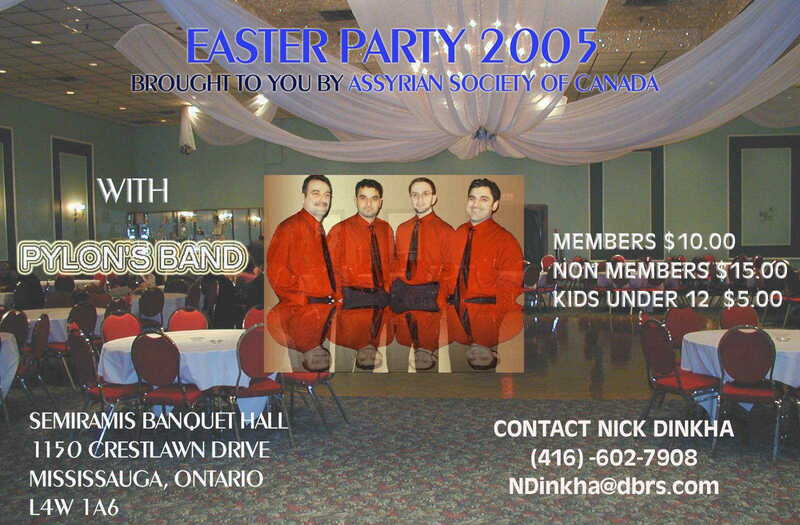 All media outlets are welcome to join us in celebrating the Assyrian-Chaldean New Year of 6755. Featuring cultural displays, cultural singers, dances, concerts, stalls, soccer competition, entertainment and much more. For more press information contact 03 9336 4162 or alternatively 0418 370 720 or email here. Awia Yacoub Yousif was born in 1926 in the village of Bibaide in north of Iraq. It was destined that he learns about responsibility and maturity from a very young age of five as his father passed away unexpectedly. Life was harsh for Assyrians in Iraq in those times. His family had to move to Sulaymaniya, north of Iraq, to live with his uncle. In 1941, and at the age of 14, Awia moved to Habbaniya (west of Baghdad) after the passing of his mother and joined the Assyrian Levy Force. In 1942, and as World War II was at its height, he joined the British Paratroopers and participated in military actions in various war theaters, including Palestine, Albania, Italy, Yugoslavia and Greece. He fought bravely and returned to Iraq in 1945. Upon his return, he immediately traveled to Syria and married Margaret Barjim. 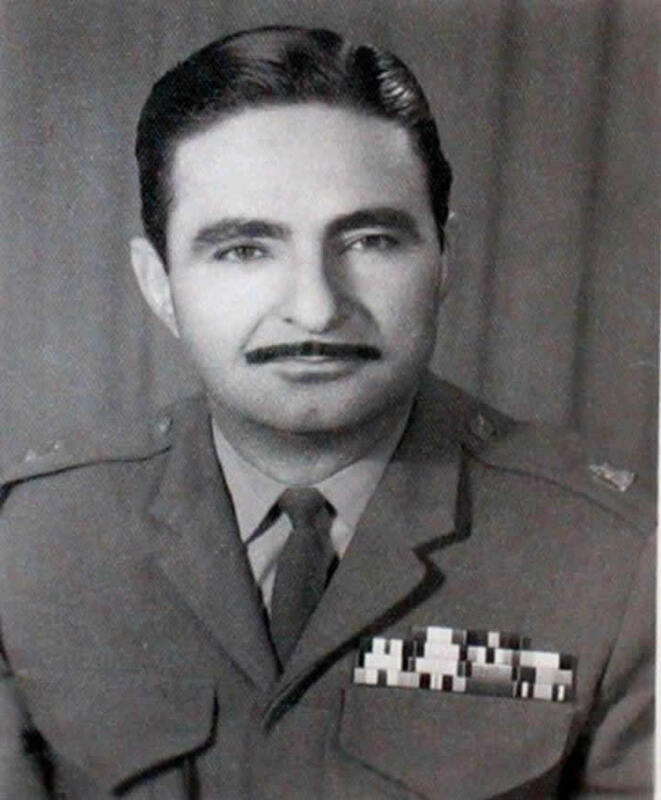 In 1955, and with the dismantling of the Assyrian Levy Force, he joined the Iraqi Military Reserve College and graduated as second lieutenant in 1956 and at end of his career, he achieved four-star ranking. In 1972, Awia retired from the Army after long military carrier that spanned 31 years. However, in 1975, he returned to serve in civil capacity as the Qa'im Maqam (Administrative Officer) of Amadiya District and retired in 1976. 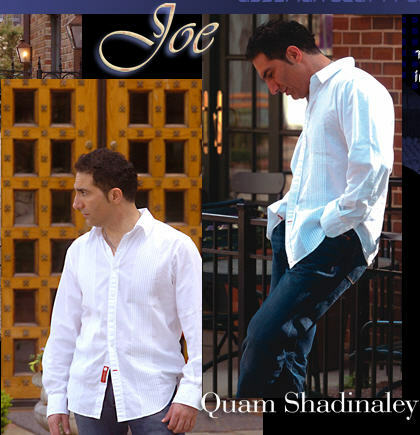 In 1997, he left Iraq to the United State and settled in Chicago. Awia was a decorated sharpshooter and enthusiastic sportsman, who played rugby, basketball, football, and track and field. Major Awia Passed to eternal life on Friday, February 25, 2005. He leaves behind his wife Margaret Barjim, daughter Virgina, Kardonia and family, and his sons Romel, Albert, Ashur, Alexander, Evan, and families. May God bless Awia's soul, a courageous and noble Assyrian. (ZNDA: Sydney) The Assyrian singer, Robin Zirwanda, has been asked to sing the Iraqi national anthem at the soccer match between Iraq and Australia, to be held at Sydney’s Telstra Stadium this coming Saturday, 26 March, before a crowd of 40,000. Assyrian performing artist, Robin Zirwanda, will sing the Iraqi national anthem at the Iraq-Australia soccer match on Saturday. 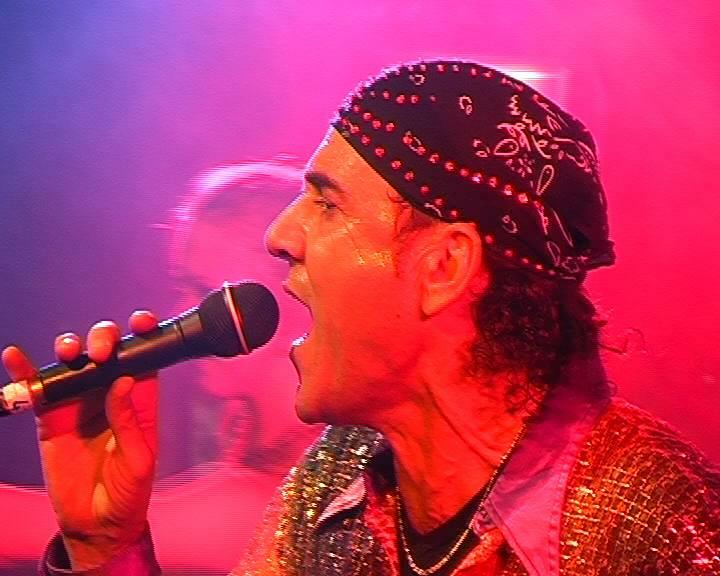 Robin is the lead singer of the band Azadoota whose unique music style blends Baghdad with Brazil, infusing Iraqi music with Latin percussion and delivering a high-energy performance that includes Assyrian, Arabic and English lyrics. Singing the anthem at the soccer match will be a particular thrill for Robin, who himself was a star striker for the Nineveh Eagles back in the 1970’s. Since the defeat of Saddam and his government, Iraq has chosen a new national anthem, “Mawtini (My Homeland)”. For more information contact Robin Zirwanda on +61 414 574 299, or email here. For tickets to the match call Ticketek on 132 849 or go to www.telstrastadium.com.au.